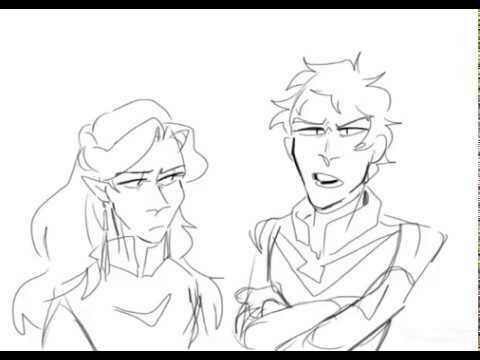 Lotor and the Generals - Vrepit Nah! Evil Acxa 또는 redeemed Acxa? Out of all of the fictional characters outside of Voltron I think would get along with Pidge the most, who do 당신 like the most? My final 상단, 맨 위로 5; who is your favorite? Which lion would 당신 like to pilot and why? Voltron happens to be a show where i like, 또는 at worst am neutral, about all the characters. But I'd like to share my favorites! A very competent, loyal general. But she also knows when to not let herself be taken advantage of (Lotor thinking he could just axe a buddy with no explanation and still deserve 100% loyalty). A level headed friend makes her very likable to me. This 기사 will contain season 4 spoilers! So obviously I loved team Lotor right from the start. Lotor, Acxa, Zethrid, Narti, and Ezor made a really awesome and kickass team. So I was shocked and devastated when the team rifted. As I do with all of my favorites, I decided to type an 기사 explaining why Acxa and Haggar are my favorites. As of now I like the both of them pretty equally. This 기사 has a few spoilers if 당신 don't know Haggar's backstory yet. a poll 추가되었습니다: Which of these 3 Galra is your favorite? a poll 추가되었습니다: Evil Acxa 또는 redeemed Acxa? a comment was made to the poll: Out of all of the fictional characters outside of Voltron I think would get along with Pidge the most, who do 당신 like the most? a poll 추가되었습니다: Out of all of the fictional characters outside of Voltron I think would get along with Pidge the most, who do 당신 like the most? What was one of two names Axca was originally going to have?